To provide effective service in helping people understand how they are going to be affected by health care reform and how to obtain coverage, pursue an appeal, or plan for long-term care or retirement, you need the most current information from a source you can trust - Medicare Handbook. 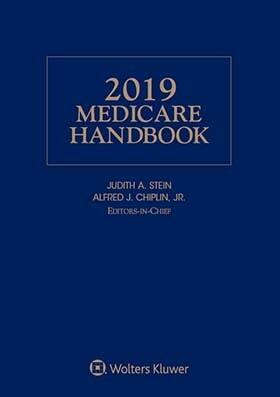 This is the indispensable resource for clarifying Medicare's confusing rules and regulations. Prepared by an outstanding team of experts from the Center for Medicare Advocacy, it addresses issues you need to master to provide effective planning advice or advocacy services, including: Medicare eligibility rules and enrollment requirements; Medicare covered services, deductibles, and co-payments; coinsurance, premiums, penalties; coverage criteria for each of the programs; problem areas of concern for the advocate; grievance and appeals procedures. How do I appeal a denial of services? What steps do I need to take in order to receive Medicare covered home health care? What are the elements of Medicare's appeal process for the denial of coverage of an item, service, or procedure? Does my state have to help me enroll in Medicare so that I can get assistance through a Medicare Savings Program? When should I sign up for a Medigap plan? If I am enrolled in Medicare, do I have to buy health insurance in the insurance marketplace created by the Affordable Care Act? Is it true that I have to show medical improvement in order to get Medicare for my nursing and therapy services?